At the intersection of the grasslands and forests, the Parkland Natural Region is exceptionally diverse and also the least protected Natural Region within Alberta. 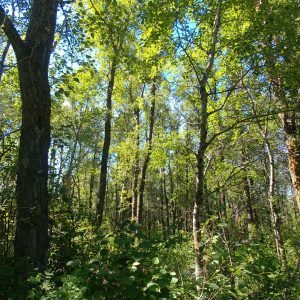 AWA believes that increased protection of the Parkland Natural Region is urgently needed, which would include a halt to new surface disturbances, a halt to the sale of public lands, and the protection of public lands containing native Parkland habitat. The Parkland Natural Region is 60,747 km2 in size, encompassing 9.2 percent of Alberta. As the transition between the grasslands and forests, the Parkland is exceptionally diverse in both landscapes and vegetation. Unfortunately, the Parkland is also the most populated – containing the municipalities of Calgary, Red Deer and Edmonton – and has extensive agricultural development. Only 5 percent of the Region’s natural vegetation remains (Alberta Parks 2015). 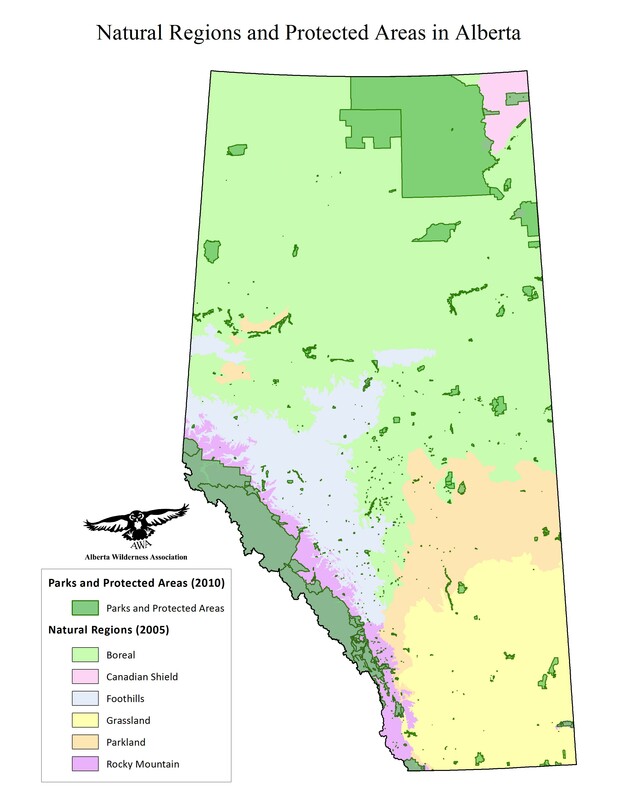 There are three distinct Natural Subregions within the Parkland Natural Region, which are separated by geographic location: the Peace River Parkland in the north, Foothills Parkland in east of the Rocky Mountains, and Central Parkland stretching north-east from Calgary to the Saskatchewan border at Lloydminster. The majority of the Parkland Region is contained within the White Area (settled portion), containing a mix of private and public lands. The majority of public land in the white area has been granted dispositions for various land use activities such as agriculture, oil and gas extraction and grazing. As of July 2018, 3040 km2 (or 0.9%) of the Parkland Natural Region is protected. Peace River Parkland – 85% of this Natural Subregion is privately owned with the remaining 11% remaining as provincial public lands (Alberta Environmental Protection 1997). Agriculture is the major land use with 70 % of the area cultivated (Natural Regions Committee 2006). Central Parkland – over 92% of this Natural Subregion is privately owned, approximately 5% (2725 km2) is provincial public lands, and the remaining 2% (1056 km2) is federal public land (Alberta Environmental Protection 1997). Foothills Parkland – over 75% of this Natural Subregion is privately owned, 22% is provincial public lands and 4% is federal public lands (Alberta Environmental Protection 1997). Over 60% of this Subregion is used for grazing (Alberta Parks 2015). The majority of the Parkland Region is contained within the White Area (settled portion), containing a mix of private and public lands. Main land uses in the White Area include settlements, agriculture, oil and gas extraction and grazing. The Public Lands Act governs public lands, particularly as it pertains to watershed protection [S. 54 (1)] and the unauthorized usage of public lands [S. 47 (1)]. 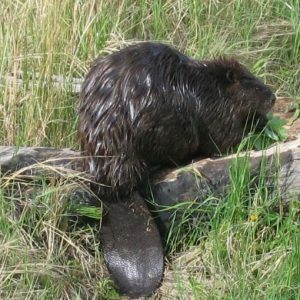 Section 54(1) (d) states that “no person shall cause, permit or suffer the doing of any act on public land that may injuriously affect watershed capacity”. In 2008, the Government of Alberta promised to develop seven Land-use Framework regional plans that outline an approach to managing Alberta’s land and resources. Of the seven regions, the Parkland Natural Region is found in the Upper Peace, North Saskatchewan, Red Deer and South Saskatchewan Regions. Protected areas within the Parkland (0.9% as of July 2018) are managed under several pieces of legislation. Provincial Protected Areas include eight distinct designations covered by three different legislative acts: the Provincial Parks Act; the Wilderness Areas, Ecological Reserves, Natural Areas and Heritage Rangelands Act; and the Willmore Wilderness Park Act. The Provincial Protected Areas allow variable amounts of human disturbance. The most stringent forms of protection, such as Wilderness Areas and Ecological Reserves, prioritize undisturbed wilderness, whereas other forms of protection, such as Wildland Provincial Parks and Provincial Recreation Areas, prioritize opportunities for recreation. More information on the provincial designations for Protected Areas can be found here. The Parkland Natural Region is 60,747 km2 in size, encompassing 9.2 percent of Alberta. Peace River Parkland: Located in the Peace River valley from the City of Peace River to Dunvegan, this Subregion is 3,120 km2 in size and encompasses 5 percent of the Parkland Natural Region. Central Parkland Located in a broad arc, beginning north-east from Calgary and encompassing Red Deer, Edmonton, and Lloydminster, this Natural Subregion is 53,706 km2 in size and encompasses 88.5 percent of the Parkland Natural Region. Foothills Parkland: Located east of the Rocky Mountains, there are two distinct pieces of the Foothills Parkland Natural Subregion totalling 3921 km2 and encompassing 6.5 percent of the Parkland Natural Region. The northern segment is located just north of Calgary and extends south to Willow Creek; the southern block is located on the Alberta-Montana border and extends north to Drywood Creek. Major water bodies within the Parkland Natural Region include the Peace, Smoky, North Saskatchewan, Red Deer and Bow Rivers. The Central Parkland and Peace Parkland Natural Subregions historically contained numerous small lakes and wetlands which supported a suite of plant and animal species and served as important water storage during periods of flood and drought. It is estimated that 60 percent of the wetlands from the Parkland Natural Region have been lost, largely due to draining and conversion for agricultural use (Alberta Environment 2003). Geological information obtained from: Alberta Environmental Protection. 1997. The Parkland Natural Region of Alberta: One of a series of reports prepared for the Special Places 2000 Provincial Coordinating Committee. Peace River Parkland – This Subregion contains broad rolling hills on glacial lake deposits along with steep river valleys and some scattered moraine uplands. Central Parkland – Bedrock within this region is largely Cretaceous shale and sandstone. The Central Parkland Natural Subregion was historically glaciated, with surface materials being deposited by glacial meltwater. This process created features such as hummocky and ground moraines, glaciolacustrine deposits, coarse outwash, kame moraines (in eastern areas), and sand dunes. Foothills Parkland – Terrain is more variable and in higher elevations. Glacial deposits include hummocky and ground moraines, as well as some outwash and glaciolacustrine deposits within valleys. Natural Regions information obtained from: Natural Regions Committee. 2006. Natural Regions and Subregion of Alberta. Compiled by D.J. Downing and W.W. Pettapiece. Government of Alberta. Peace River Parkland – Located much further north in the province, the Peace River Parkland contains steep grassy and forested slopes along the banks of Peace River as well as gently rolling plains. Foothills Parkland – Rolling hills of grasslands with aspen or willow stands in low lying areas and north facing slopes. Central Parkland – Although largely cultivated and settled, Central Parkland marks the transition between the boreal and grasslands and contains flora and fauna from both Natural Regions. Vegetation information obtained from: Alberta Parks. 2015. Natural Regions and Subregion of Alberta. A Framework for Alberta’s Parks. Alberta Tourism, Parks, and Recreation. Edmonton, Alberta. 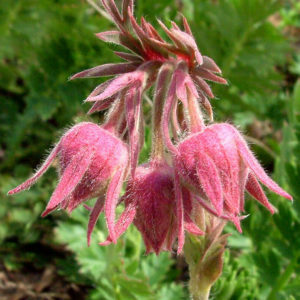 Approximately 100 (20 percent) of Alberta’s rare vascular plant species can be found in the Parkland Natural Region. Peace River Parkland – Grasslands of western porcupine grass, intermediate oat grass, sedges, pasture sage, bearded wheat grass, three-flowered avens and goldenrod. Forests of aspen and white spruce on upland areas resemble those of the Mixedwood Boreal Forest. Distinctive plants include brittle prickly pear cactus, Richardson’s needle grass, Columbia needle grass and short-stemmed thistle – which are typically only found in southern areas of the province. Central Parkland – Grasslands of plains rough fescue, western porcupine grass, June grass, and western wheat grass are dotted with aspen groves containing species such as wild lily-of-the-valley, bunchberry, chokecherry, and Saskatoon berries. Common cattails, sedge/bulrush marshes and shrublands are common in wet areas. Foothills Parkland – Grasslands communities resemble the Foothills Fescue Subregion (mountain rough fescue, Parry oat grass, Idaho fescue) with aspen and balsam poplar forests. 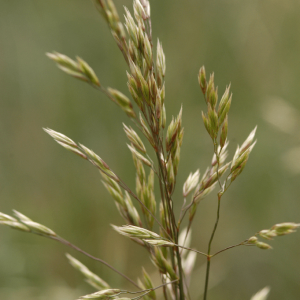 Distinctive plants in the Foothills Parkland Subregion include lupines, oatgrass, and Idaho fescue, which are absent from Central Parkland (Alberta Parks 2015). Wildlife information obtained from: Natural Regions committee 2006, Alberta Environmental Protection 1997, Alberta Parks 2015. Peace River Parkland – Wildlife most closely resembles the Boreal Forest Natural Region, but also contains species which would typically be found in the Grasslands, including at least nine species of butterflies. Amphibians – wandering and red-sided gartersnakes are common. Birds – lakes and ponds are critical nesting areas for trumpeter swan; golden eagle, bald eagle, osprey, western meadowlarks, savannah sparrows. Fish species include flathead chub, lake chub, longnose dace, longnose sucker, northern pike, lake whitefish, mountain whitefish, bull trout, goldeye, walleye, yellow perch, and burbot. The redside shiner, northern squawfish and largescale sucker are uniquely restricted to the Peace River system. Mammals – moose, elk, deer, black bear, grizzly bear. Central Parkland – Wildlife composition is a mix of species found within the Northern Fescue and Boreal Mixedwood Natural Subregions. Mammals – snowshoe hare, moose, northern flying squirrel, Richardson’s ground squirrel, beaver, mule deer, white-tailed deer. The prairie vole is restricted to this Subregion; Franklin’s ground squirrel also primarily relies on the Central Parkland Natural Subregion. Birds – The wetlands of the Central Parkland are a major production area for waterfowl including green-winged teal, lesser scaup and bufflehead. The southern edge of the Subregion contains grassland species such as upland sandpiper, Sprague’s pipit, sharp-tailed grouse, Baird’s sparrow; north contains boreal species such as woodchuck, broad-winged hawk, rose-breasted grosbeak. Piping plover primarily relies on the Central Parkland Natural Region. 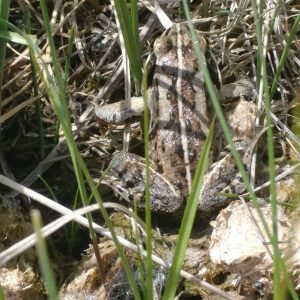 Foothills Parkland – Wildlife most closely resembles species found in the Rocky Mountain Natural Region. Birds include dusky flycatcher, white crowned sparrow, clay-colored sparrow, blue grouse, yellow warbler, alder flycatcher, MacGillivray’s warbler. 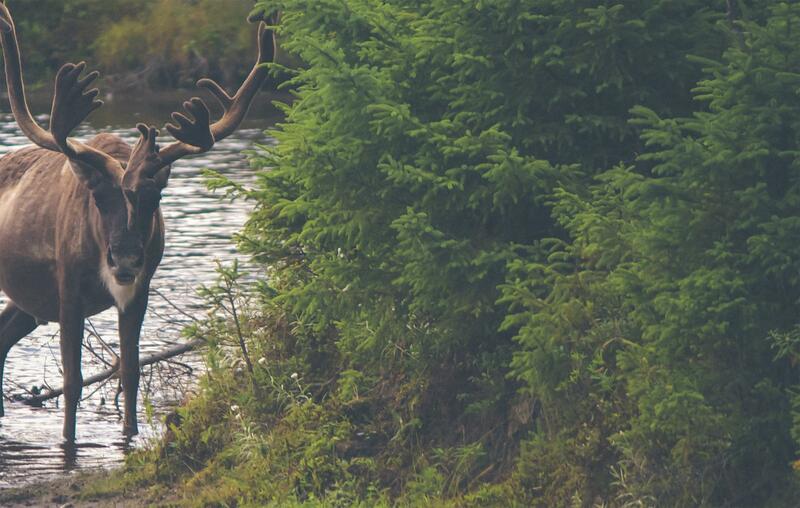 Mammals – excellent habitat for elk and moose. The Parkland Natural Region is part of the traditional territories of the peoples of Treaties 4, 6, 7, and 8 in Alberta and Saskatchewan. The displacement of wildlife, native plants, and Indigenous Peoples through settlement, industry, and agriculture has had a devastating effect on wildlife, wild waters, and natural ecosystems of the Parkland Natural Region. Most of the non-urban landscape of this region is either farmed or grazed by domestic cattle, with the additional threat of oil and gas development and its concomitant infrastructure of roads, well sites, and pipelines. Surface disturbances such as drilling, renewable energy development and road building pose serious threats to the ecological integrity of the Parkland by means of habitat fragmentation, loss of native grasslands and the introduction of invasive species. An estimated 5 percent of the Region’s natural vegetation remains (Alberta Parks 2015). AWA believes that no new surface disturbances should be permitted within native Parkland habitat. 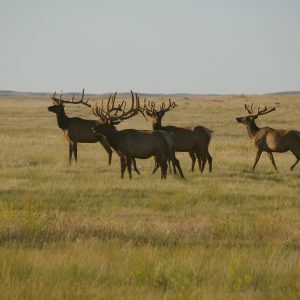 The ongoing sale of public lands without broad public knowledge poses a serious risk to the remaining 5 percent of native habitat in the Parkland Natural Region. AWA opposes any further destruction of native parkland and sales of public land until a public lands policy is developed through a transparent and democratic public process. 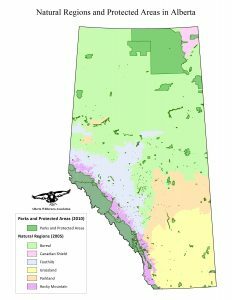 Currently, only 0.9 percent of the Parkland Natural Subregion is protected within Alberta. AWA believes that expanded protection of native Parkland habitat is urgently needed. Over the past century, development has prevented natural fire regimes from taking place, as a result, shrubs and trees have been proliferating through the grasslands associated with parklands (Bird 1961). There is a real threat that the parkland regions will be converted to forests if natural fire disturbances are not re-introduced to the landscape. AWA believes that prescribed burns are needed and critical to the continued health of the Parkland ecosystem.